A lot of energy has been going into project portfolio upgrade with a couple of projects in a good place. As I revisit some some of my older projects, there was one in particular that I have been wanting to study further. This project was started in a studio that focused more on process and less on the final result, meaning no digital model, floor plans, or section were ever fully realized. You may recognize this project from one of my favorite video tutorials describing how to transform a rough massing model photo into something presentable. I spent the weekend developing a Sketchup model and working through details to give me a little more graphic information to work with once I start piecing together the portfolio pages. This will at least give me a base to build off of in Photoshop since Im not planning on adding many textures to the model itself. More on this later. 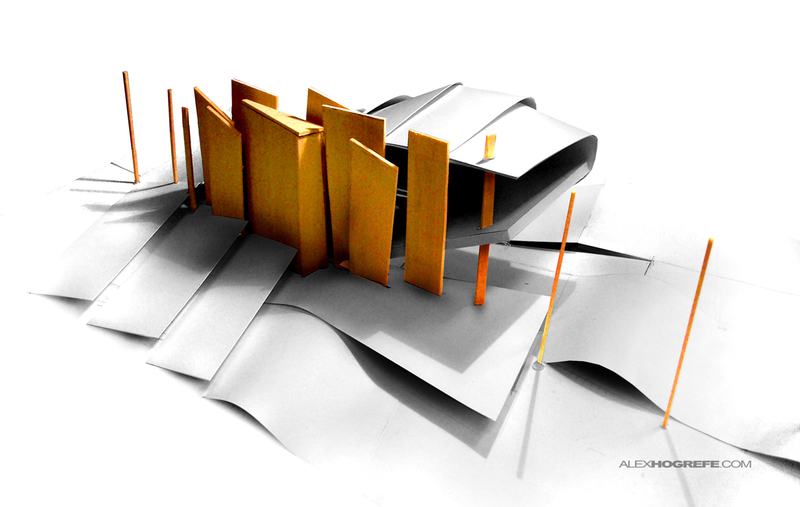 I love your work, this model look awesome, how do you do the stripes that envelop the building…. maybe import from rhino? looking forward to the finish work. Per chance are you using any scripts or plug ins? Can you share them if so por favor? Great work! Loving the model, but could you please show us how you made that model in SU. Or can you show us which plug in you used, or show us the process from Rhino to SU. Could really use your help on this one. Thanks! Hi Alex, great work as always and a pleasure to see a new post. I know you wanted this website to be primarily an illustration guide but if you would be kind enough to go through your process of creating that Sketchup model, it would be greatly appreciated as it looks amazing! Hey Alex, thanks for sharing all your knowledge, it really helps! As some people already said, I would be so thankful if you could show us the process of making all these the amazing SU models. Thanks! Lots of comments on the model. I will try to put an explanation together of the process as well as some of the tips and plugins that I used. 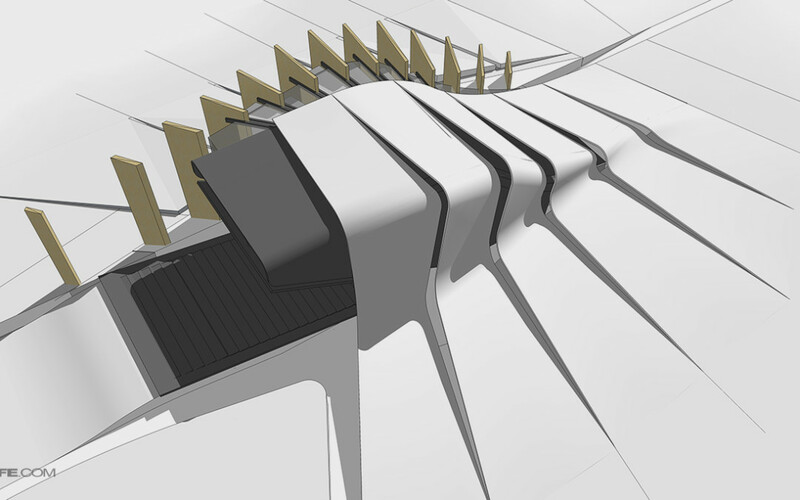 Great project, I agree with everyone else, as I would love to see a SketchUp tutorial about creating curves.